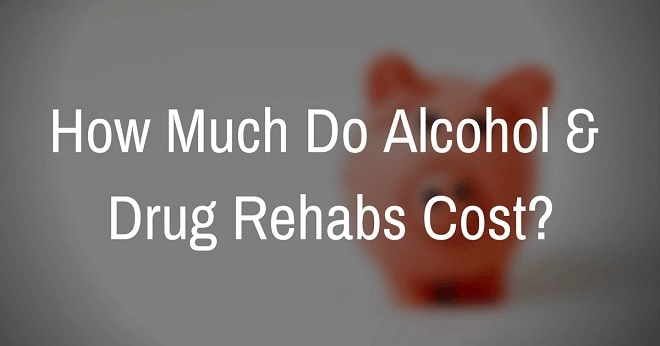 The cost and type of drug and alcohol rehabilitation varies across Australia. The cost that will be specific to you or your loved one, will be determined by the type of treatment that is needed and whether it’s privately or publicly funded . For the purposes of this article, we will assume that you, or your loved one, requires a minimum of 28 days of drug or alcohol rehabilitation. Publicly funded inpatient drug and alcohol programs include services such as counselling, structured day rehab programs, group therapy and detox. Much like the services available at a private rehab such as Refocus. Governments and charitable organisations such as Odyssey House, are sources of publicly funded rehab beds available in Victoria. It can be difficult to gain entry into these programs due to the overwhelming demand. It’s also harder in Victoria than other states to get access to these beds and services due to a limited supply. The Victorian Government has announced $81 million worth of funding for new beds and treatment programs to bring Victoria into line with the other states (2). Currently there are 250 drug and alcohol rehab beds, and this funding will take the figure up to 340. There have been anecdotal reports of waiting lists of up to 6 months to get access to public beds in Victoria. For someone who requires an immediate bed to start rehabilitation, this waiting time is not practical. It’s one of the reasons why many opt for private rehab for drug or alcohol treatment to get access treatment faster. There are a number of different private providers of alcohol and drug rehabilitation programs in the state. The major benefits of private rehabs are the speed of admittance and the start time of treatment that can usually be provided quickly. When someone suffering from addiction admits that they have a problem and wants treatment, waiting 6 months for a free public bed is not practical. Private rehabs, like Refocus, can generally admit patients within 24 hours. When someone suffering from addiction decides that he or she are ready for treatment, it’s important to act fast as most of us with experience know, the motivation to get well can be fleeting at best. Most private rehabs in Victoria charge anywhere from $8000 to $13,000 for a 28 day live in program. There are likely to be small fees on top of these figures for doctor appointments or tests that aren’t covered by Medicare. Here are Refocus, the fees are $9900 for 4 weeks and $28,800 for a 12 week program. If you would like more information, please call Barbara Kustra on (03) 9826 0949. If you or a loved one joins the program, and decides to leave early, there are rebates for the periods unutilised. Please note: Not every rehab offers this. There is a natural temptation to choose a rehab based on its fees. The problem with this approach is that the option may be significantly cheaper, but it may also lack the quality that drives results in helping you or your loved one, get back on their feet, healthy again. It may cost considerably more in the long run in the event the rehab doesn’t provide the help and support necessary to get your life (or a loved one’s) back on track again. Recent media coverage has shed light on private rehabilitation centres in Victoria. There is effectively little oversight and background checking before anyone starts up a rehab. The industry will no doubt see far more regulation over the next few years. This is certainly a good thing. The cost of choosing the wrong rehab can be disastrous for a multitude of reasons. There are some things you can do to minimise choosing the wrong rehab. What qualifications do staff hold that will be supervising the program? Who will be doing the counselling? Do online reviews appear genuine and positive? Does the rehab centre appear professional and warm or more like a prison? Are you permitted to contact former or currently program participants? What results should I expect from the program? Irrespective of program quality, a prerequisite to a successful rehab program is the desire to get well again on the part of the participant. At a minimum, at least some part of them needs to want to be there.